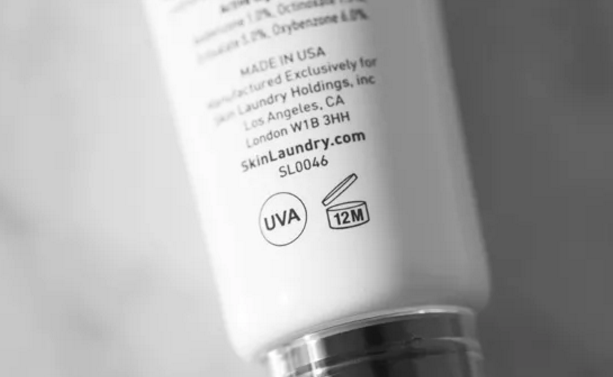 IS YOUR MAKE-UP PAST IT’S SELL BY DATE? 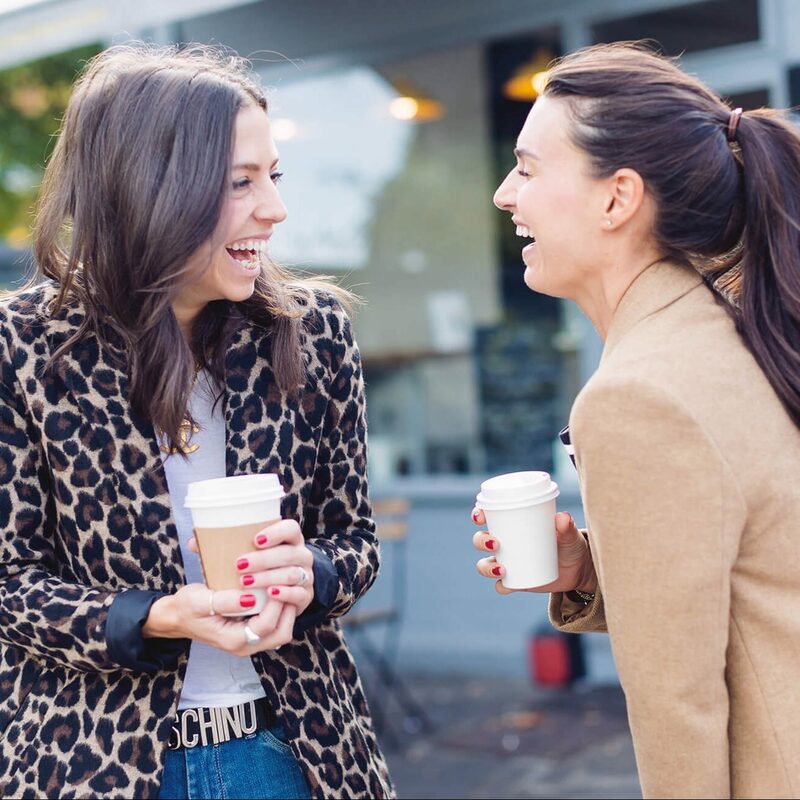 Have you had the same lip gloss for the last two years? Is your mascara going a bit crusty? How about that eye cream you use sporadically so has lasted you ages? I hate to tell you but it’s probably past it’s sell by date. 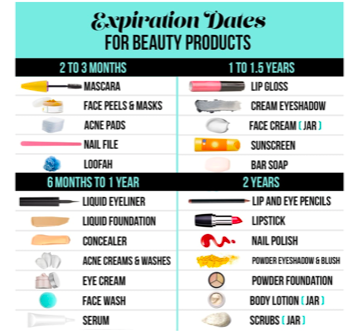 Take a look at the table below to see how long your beauty products will last, on average, and you’ll be shocked. It’s actually really easy to tell how long you’ve got to use up a product. Look on the back of it and you should see a little symbol that looks like an open jar. The number inside that jar indicates how long a product is good for once you’ve started using it. Why it matters: As soon as you open a product, it starts to oxidize, and it’s also increasingly exposed to bacteria. Once it’s past that point it could be doing your skin more hard than good, causing irritations, inflammations, acne and worse. If you have an awful memory (don’t we all), it can be hard to keep track of all 80 bajillion bottles and tubes scattered in your bathroom. 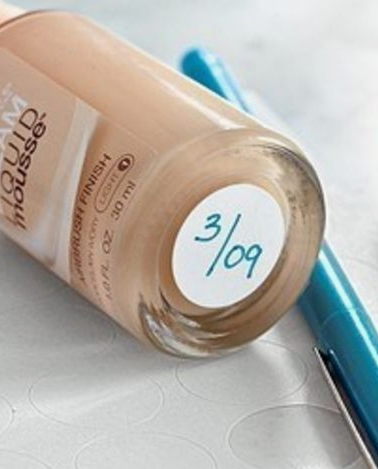 A trick that some people do is to write in marker that month that they started using it on the bottle.